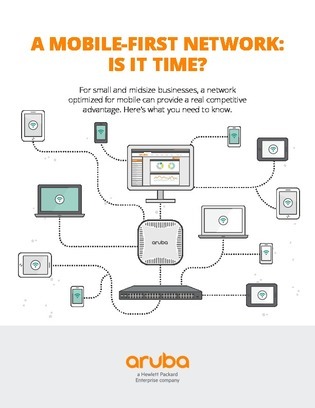 A Mobile-First Network for SMBs: Is It Time? Upgrading your network to accommodate today’s mobile-first environment can be a time-consuming and expensive challenge—especially for SMBs. A good option is an integrated network built around 802.11ac LAN technology, a secure and scalable switching platform, and simple cloud management. It enables employees to access the network primarily through wireless connections, while still providing the necessary security features and tools to monitor and collect performance data.